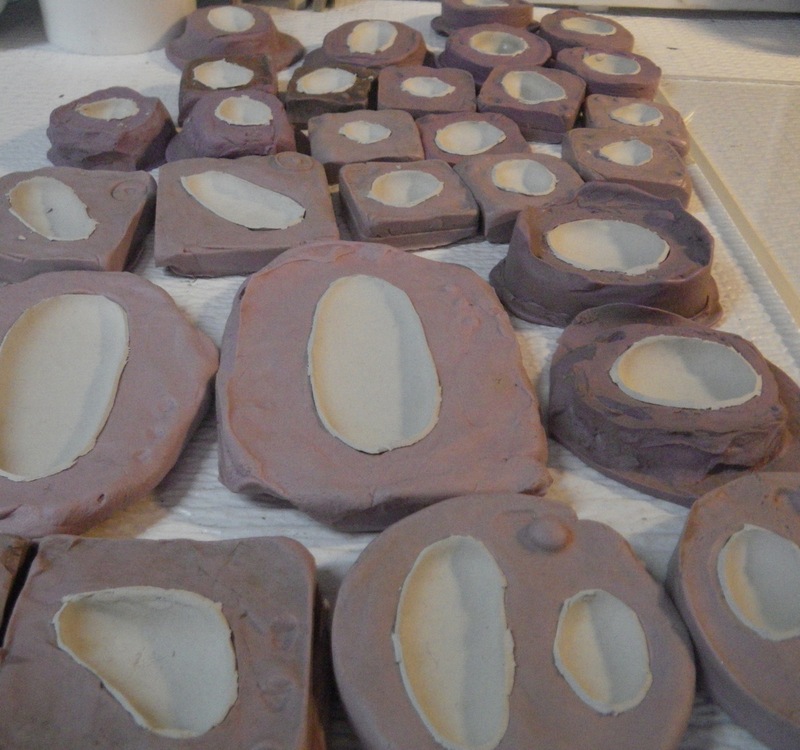 Once the clay dried enough to pop out of the mold without losing its shape, I finished drying the pieces on my cup warmers. I made the edges smooth and flat and fit the two bead halves together, dried them again, and drilled holes for stringing. 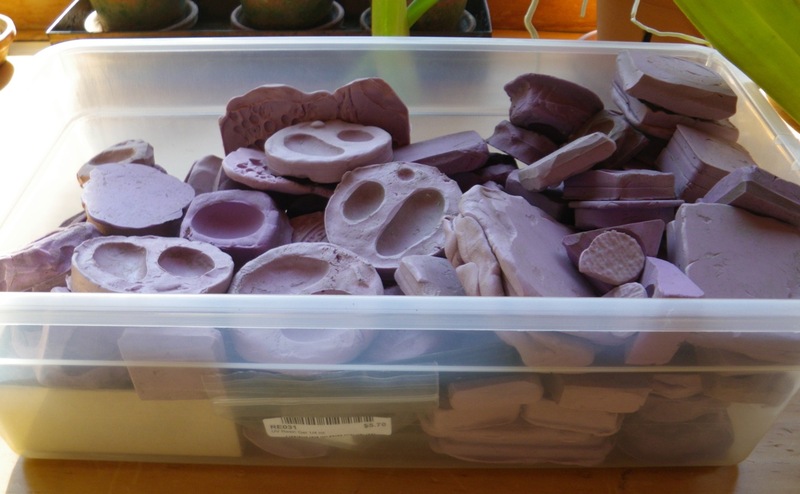 They will need to be fully dry before I fire them in the kiln. 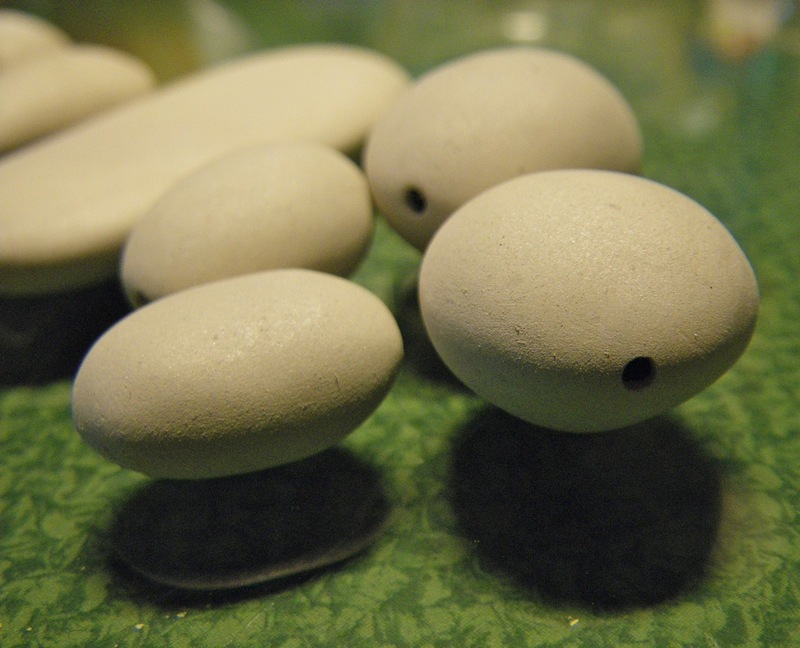 Then they will come out as pure silver hollow beads that are shaped like the beach rocks I love to collect. that is a LOT of silver stones in one day! i’d always imagined you did them one or 2 at a time! I love your comment. I looked at the photo and thought, “Is that all I got done in one day?” So, once again you help me find some balance. Thank you my good friend! No two are alike in the batch above, and I have a necklace order that will use quite a few of them. My supply is low for silver to add in with the beach rock necklaces. 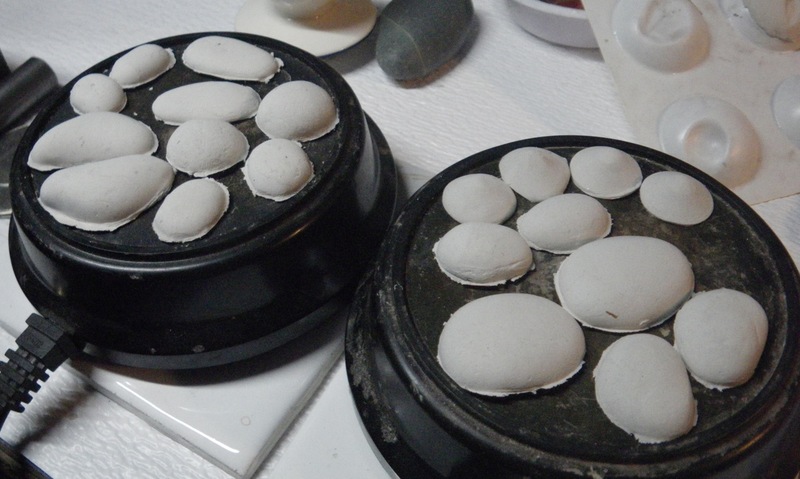 So, I’m kind of in production mode for making a batch of silver rocks. It’s really fun to see how you make things. I do love these silver stones. Thanks LeAnn. 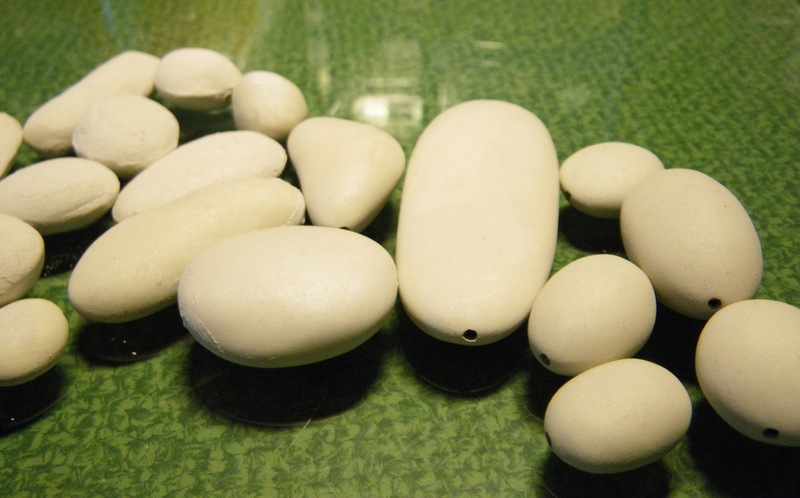 I love seeing all of your bronze clay beads and thinking about how they are made. They’re hollow, right? I’d love to see the finished beads as well!